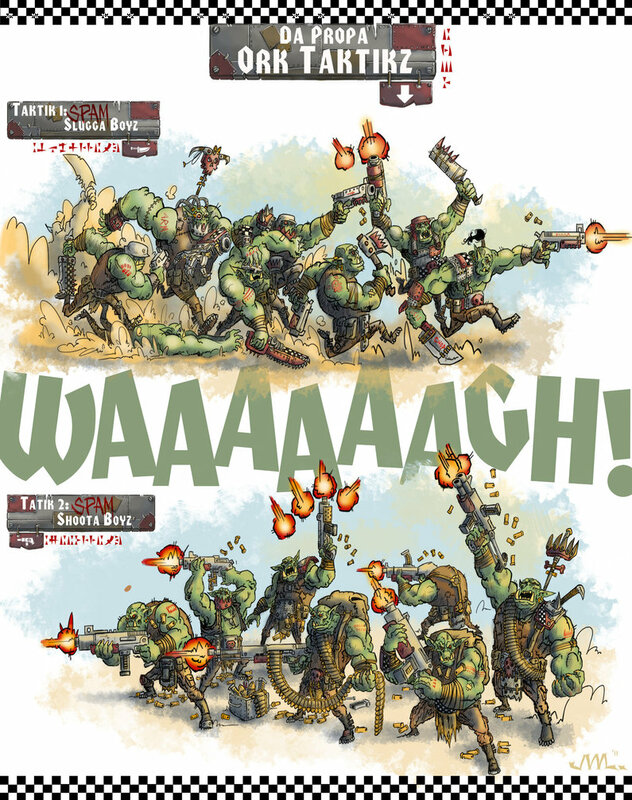 And this is why I love Orkz! Look at the imagine first then read the comments. 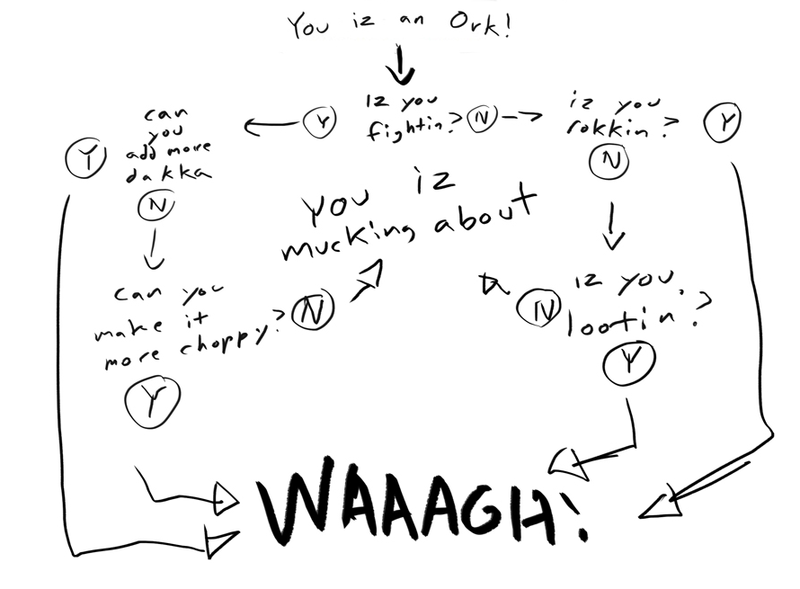 So orky! Re: And this is why I love Orkz! i agree with the board, needs more dakka..... this paltry amount just will not do. There's plenty of space on his legs for more dakka. Get some kneecap blasters and maybe foot shootaz.